web, mobile, desktop apps and chatbots. Unparalleled technical support included. Comes with Lite Support – ideal for apps in a non-production environment without deadlines. Enables getting started quickly and effectively with our products. For developers who want sleek UI and need a reporting tool to visualize and manipulate large amounts of data or a mocking tool to practice unit testing. Comes with Priority Support – ideal for business-as-usual apps with flexible deadlines. Ensures technical support for any question or issue related to our products. For developers who work on mission-critical or complex apps with tight deadlines that require constant maintenance, painless continuous delivery and who need an ultimate report management solution to visualize and manipulate large amounts of data, and store and manage them with a variety of line-of-business capabilities. Comes with Ultimate Support – ideal for apps that require very quick fixes. Provides real-time collaboration and high-severity incident escalations with the team that built our products. Create responsive and adaptive web apps for any browser and device with the most fully-featured ASP.NET AJAX suite on the market. Build rich and responsive apps with UI for ASP.NET MVC. This complete suite packs 70+ lightweight extensions powered by Kendo UI, and contains everything you need to build modern HTML5 sites and applications. Cut development time while delivering rich, powerful, modern websites and apps 60+ jQuery-based ASP.NET Core UI components. 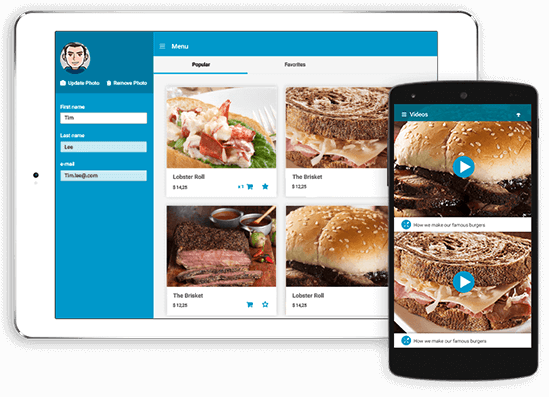 Build cross-platform native mobile apps in C# using a single, shared codebase. Enjoy the quality performance only native code can deliver. Take advantage of this complete suite of over 120 WPF UI controls and 20+ themes for high-performing, beautiful desktop applications. 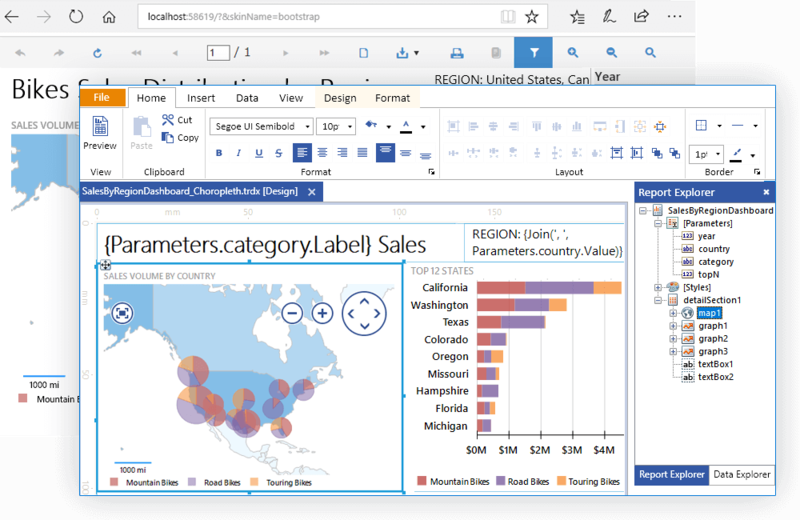 Build first-rate business desktop applications with 130+ stunning WinForms UI controls. Explore a wide range of controls for various application scenarios, including data management, scheduling, layout, editing, navigation, data/geo visualization and interactivity. Building UI for business apps is hard work, even with React. 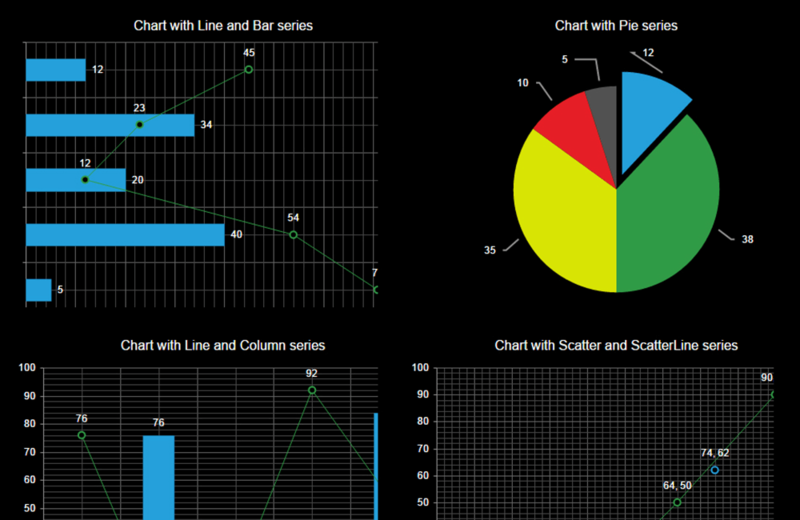 Make it easy with our native UI & data visualization component library. Build high-performant and beautiful Vue apps faster with a rich UI library, ranging from complex components to basic components. Create and style interactive, reusable, touch-friendly reports in Visual Studio–or in a standalone report designer, deliver them to any mobile, web or desktop .NET application and print them in more than 20 formats. Create and style beautiful reports using dedicated standalone report designer. 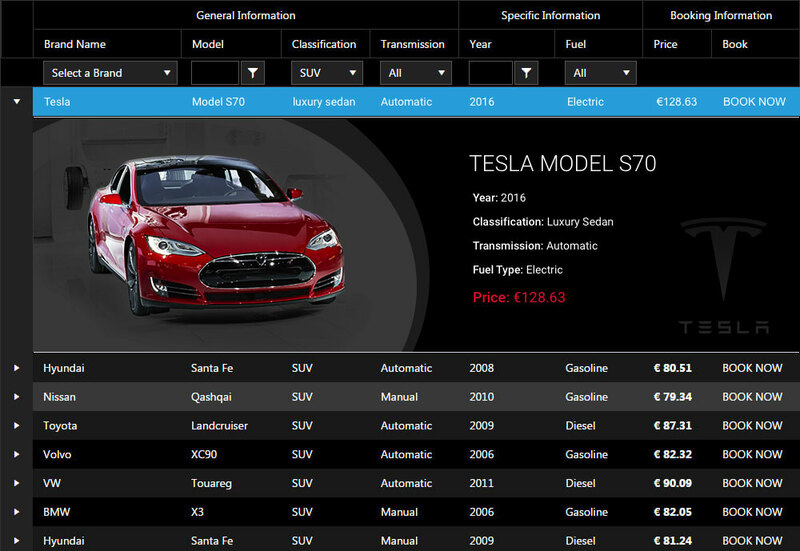 Store and manage them from a single web interface. Apply a full set of line-of-business features like rebranding, report scheduling, user permissions, data alerts and more. Empower the end users to view and export advanced data presentations. Use this easy, fast, feature-rich mocking framework to isolate dependencies in unit tests. Ensure painless continuous software delivery at any time and on demand. 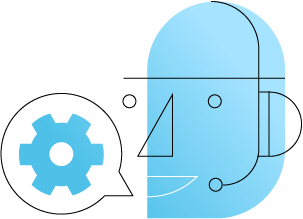 Craft quickly and easily automated tests with or without coding, integrate them in your CI/CD environment to find defects earlier and ship a quality software product across web and desktop. 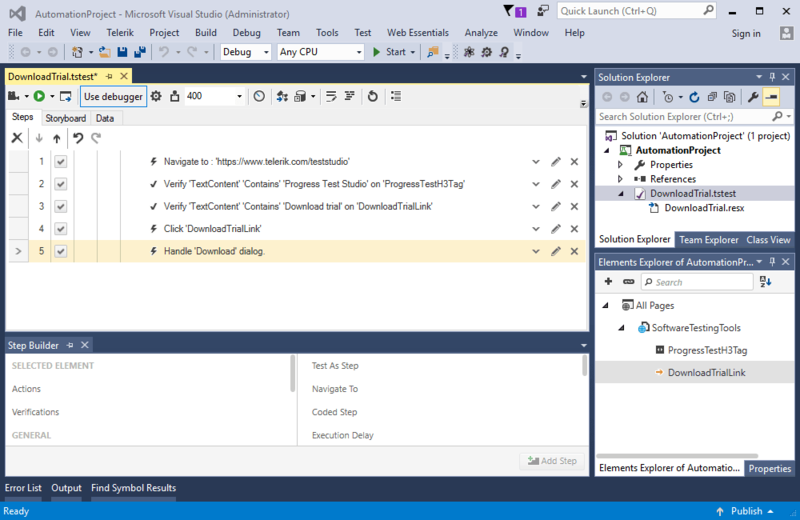 Test your Telerik DevCraft-built applications without leaving Visual Studio. Standardize the look and feel of your apps across the board. Out-of-box themes and limitless customization options allow you to quickly present a professional, well-packaged frontend to your users. Our themed, Visual Studio-integrated controls ensures that consistency is easy for you to implement and maintain. We have different levels of support to partner with you in any scenario. Exceptional support, provided by the same engineers who built the products, covers every stage of your development process from initial evaluation to a successful release. From a selection of "always-on" online resources to a variety of communications channels, we're always here to help. 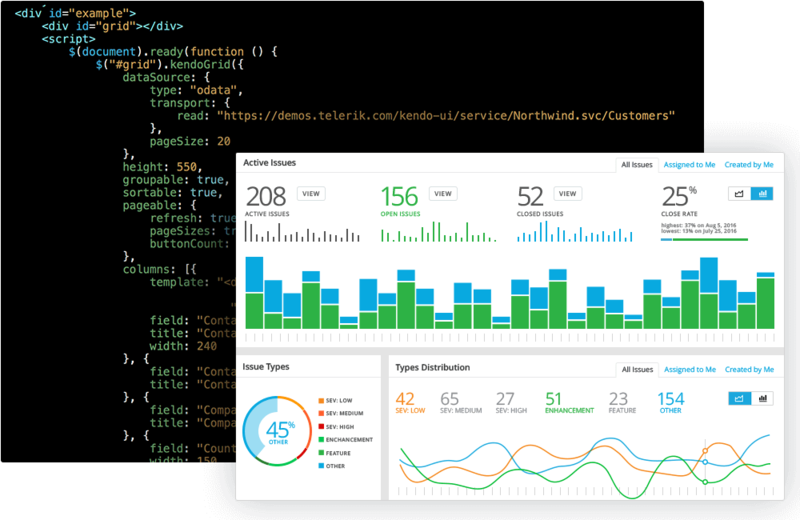 High quality continuous software delivery made easy with Telerik Test Studio Dev Edition. Quickly and easily record functional automated tests or write them from scratch in Visual Studio, across web and desktop. 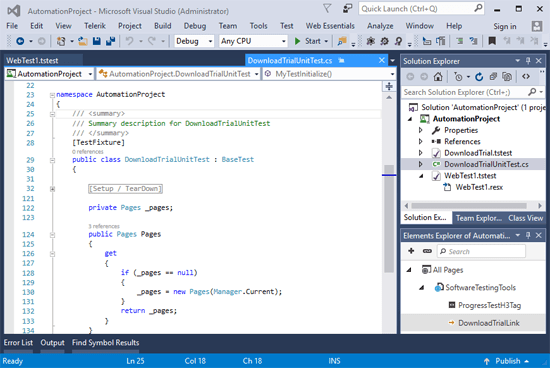 Take your .NET team to the next level in both software development and testing. Our customers regularly report performance improvements in the 40%+ range. With thousands of unit tests covering our code and through rigid adherence to accessibility standards (WCAG, RIA), we ensure that your projects are done on time and are accessible and secure by default. Quickly add advanced document processing functionality to your app. 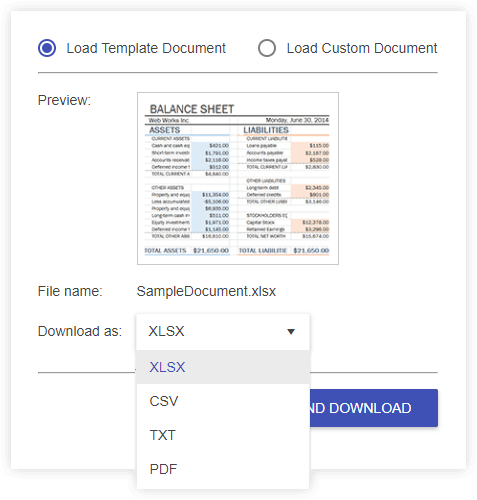 In a few clicks your app can create, import, modify, export and print to and from the common text, spreadsheet, and PDF file formats. Create modern conversational chatbot experiences in your web, mobile or desktop applications with the new chatbot-framework agnostic user interface controls and components. Includes Lite Support – ideal for apps in a non-production environment without deadlines. Enables getting started quickly and effectively with our products. Includes Priority Support – ideal for business-as-usual apps with flexible deadlines. Ensures technical support for any product-related question or issue. For developers who work on mission-critical or complex apps with tight deadlines that require constant maintenance. Includes Ultimate Support – ideal for apps that require very quick fixes. Provides real-time collaboration and high-severity incident escalations with the team that built our products. Build better React apps faster with an advanced UI library, ranging from complex Data Grid components to basic Button components. Increase your productivity by easily creating scaffolding to jumpstart your Angular or AngularJS development. Create and share design templates to enable reuse across your design teams. Need to connect to server data sources? We offer menu-driven configuration tools to connect components to data sources via Generic REST, OData, and JSDO. We take the work out of client/server data communications.